Google has released an update for its Chrome OS that enables select Chromebooks to run apps designed for Google Android and access Google Play Store. Right now, only two mobile PCs, one from Acer and another from ASUS, are compatible with the new build, but the fact of the release confirms Google’s intentions to enable Android software on its OS for PCs. 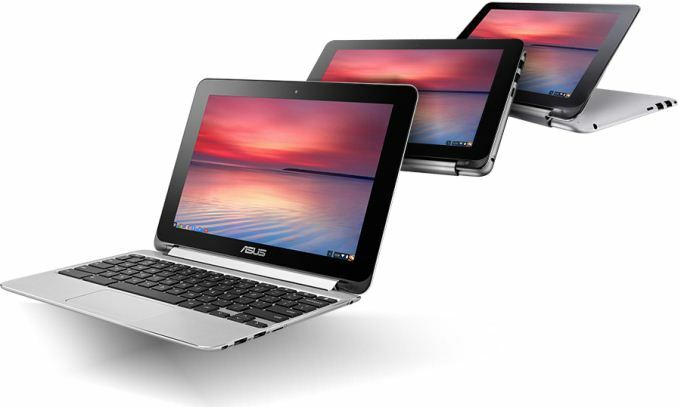 Google has been trying to bring programs developed for Android to its Chrome OS platform for over two years now. At first, it tried to encourage developers to port certain apps to Chrome OS, but that only worked out for a limited number of programs. At its I/O conference this year, Google announced plans to alter Chrome OS to enable all Android apps from the Play Store to work in sandbox environments. Then, the company made its Play Store available to select Chromebook models running dev or beta channel builds. Finally, starting from this month, the Play Store is heading to stable Chrome OS builds. 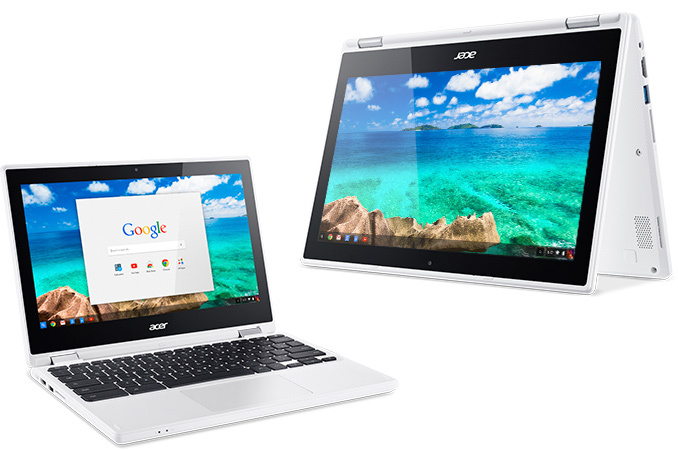 Last week Google released Stable channel 53.0.2785.129 (Platform version: 8530.90.0) for the Acer Chromebook R11 (C738T) as well as the ASUS Chromebook Flip. The update contains numerous bug fixes, security updates, feature improvements as well as the Google Play Store (beta). Those, who have already received the new stable channel version, will need to enable the PlayStore in the Chrome settings. It is not completely clear which kernel and security features are required to run Android apps in sandboxes, but at present the update is only available for the aforementioned two laptops and not even for Google’s own 2016 Chromebook Pixel. It remains unknown when and whether Google intends to enable the Play Store on other Chromebook devices. Meanwhile, one of the reasons why Google chose the Acer Chromebook R11 (C738T) and the ASUS Chromebook Flip as the first Google Play Store-compatible laptops could be their flip form-factor. It will be easier for consumers to use Android apps for tablets on a device, which can transform into a tablet. Update 9/24/2016: In fact, Google plans to enable Android apps on multiple Chrome OS-based PCs in 2016 and 2017. The list is located here. Android applications will make Google’s Chrome OS a bit more attractive to those who are looking for an alternative to web apps. Since there are hundreds of millions of active Android users, compatibility of Chrome OS with those applications could be good for Google's PC platform. However, keep in mind that many Chromebooks are built to rely on cloud-based services rather than on locally stored programs, which is why they only feature a limited amount of NAND flash-based storage. Therefore, to a certain degree, Android apps on Chrome OS will alter the concept of this platform and will require makers of hardware to take that into account when they design their next-gen Chromebooks. Sources: Google, AndroidAuthority, Android Police. In your last section, are those forward slashes or back slashes? Except in DOS / Windows where they're assumed to be backslashes.